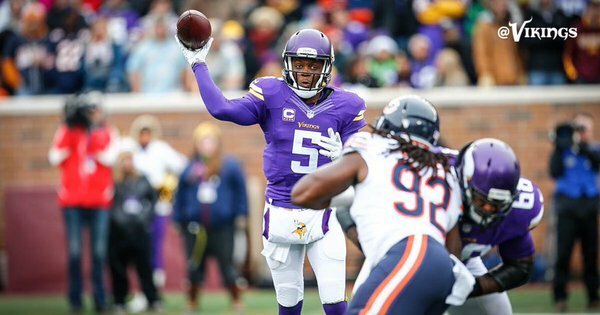 The Vikings are set to face the Bears. Join in on the discussion as Andrew Krammer, Judd Zulgad and others react LIVE during the game with #1500ESPNLive. #1500ESPNLive is an experience like no other. You will get instant commentary, opinion, analysis and reaction to what is happening on the field. Enjoy real time videos, photos, audio and posts from around the world via social media. 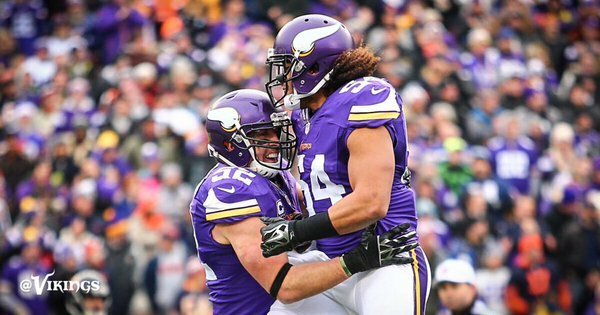 Little ice fishing celebration on that sack dance, it looked like. Might want to be careful, thin ice out there. 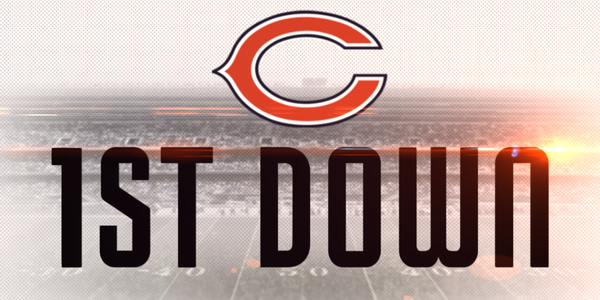 Cutler to Mariani gives #Bears a 1st down in Vikings territory. Tom Johnson gets in the backfield once again, this time for a 4-yard TFL. No Linval has been little problem for #Vikings so far. Getting disruptive play from Johnson and Floyd up front. 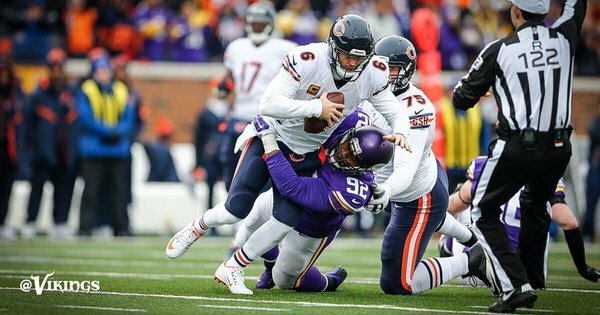 #Vikings pressuring Jay Cutler early today. Three sacks on eight dropbacks, two from a four-man rush.
.@YoungWill79 is the 3rd #Bears player to record a sack in 5 straight games, joining Brian Urlacher & Steve McMichael. 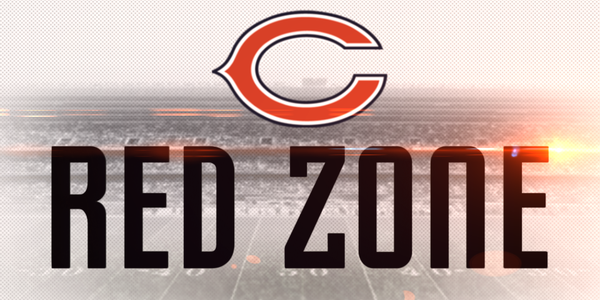 Facemask penalty gives #Bears a 1st down at the MIN 15. Xavier Rhodes is limping pretty bad on his way to the trainer's table. Looks like his right leg/ankle from up here. 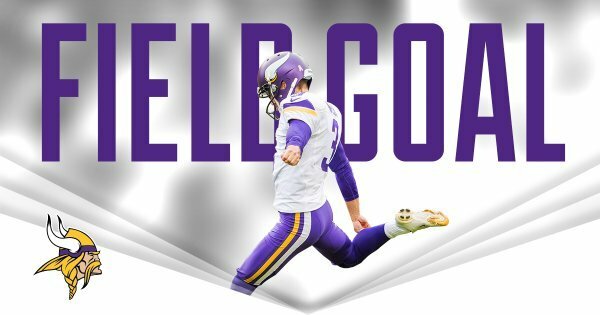 A CHI TD pass puts the score at 10-7 #Vikings . 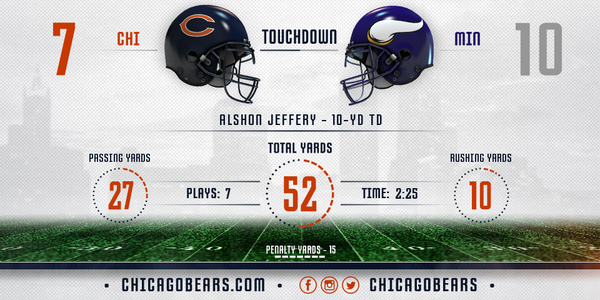 Scoring drive update for Jay Cutler's 200th career passing TD. Don't see that often. Mike Wallace reverses field on a receiver screen, and even a Bridgewater block wasn't enough. No gain. Adrian Peterson is walking lightly off the field, appears he injured a leg after Will Sutton fell on him. Adrian Peterson limps off the field. 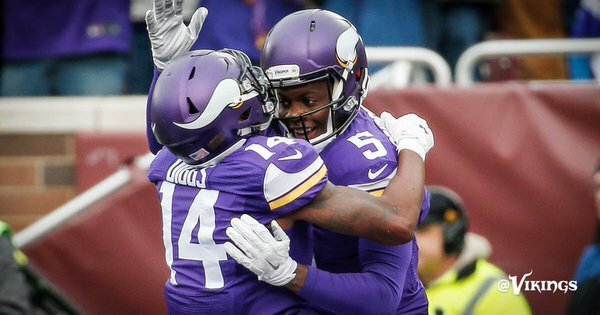 His legs got tangled up at the end of the last run but I didn't see exactly how he got hurt.
.@Wallace17_daKid puts the #Vikings in the red zone with a 34-yard grab from @teddyb_h2o ! 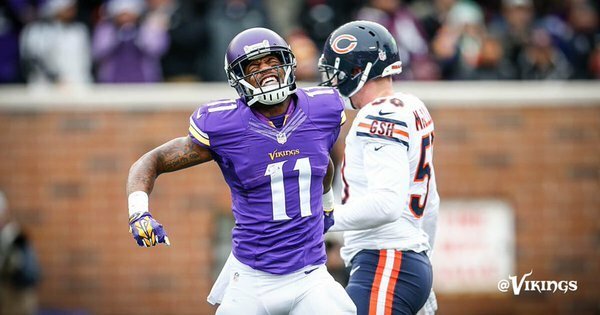 Mike Wallace heard all of your wisecracks afters that strange end-around play. Adrian Peterson walking to the locker room with a slight limp after appearing to tweak his ankle on this drive.